Should We, Can We Rewrite The Poems In Sintra’s Heart? 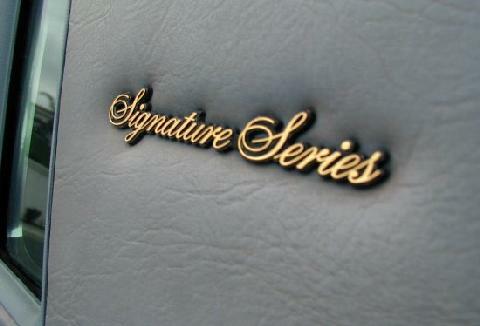 Badges are extremely important details on a car. Take them away and a wholly disproportionate amount of identity vanishes with them. So what are Skoda doing by deleting their arrow logo? Prompting this story is the announcement (here and here and here) that Skoda are having a stab at a more obvious competitor for the Focus, Astra, 308 and, I suppose, Golf and whatever it is Citroën offer in this class (I can’t visualise it). Oh dear me. I am probably never going to get invited to a Skoda launch at this rate but let me be diplomatic and say the copy-writing does not quite reach the standards set by the quite fine cars Skoda sells. Is that polite enough for you? The lesson we learn from Skoda is that symbols have more power than words. You learn that when you remove a symbol and replace it with a word. The word has less power. “Living up to its name, Skoda Scala will also spell a step up in the evolution of the Skoda design language. The Scala will be the first European production car with the conviction to give prominence to the Škoda name in the middle of the fifth door”. A word says less than a symbol. In place of the century-old arrow which expresses speed and also evokes the rather wonderful history of the brand (even the badly made Communist era cars were full of character and charm) there is a word hammered out in a bland script. It’s not Arial, thankfully but might as well be. This reminds me of the time Renault dropped the word “Renault” (good idea) and relied on their diamond logo to carry the cars’ identity. I presume marketing insisted it went back on again, minus the nice serif font they had used for a decade or more. I want to underline the point that Skoda is not enhancing its image but diluting it. The Indian arrow went on the cars through thick and thin. It had been carried up with two decades of strong products. To ditch it at the point people really believe in the cars is some form of self-harm. Having thought a lot about design semantics lately I realised most semantic entities are ultimately based on affordances – what something looks like it can do. That then evolves into a product-design form-language which are the forms we associate either with a class of artificial objects or more specifically a brand (BMW’s hofmiester kink, Buick’s ventiports, Alfa Romeo’s shield grille). More profound semantic value attaches to the brand’s logo. Rolls Royce’s double RRs pack a punch; Alfa Romeo’s roundel is still able to evoke the romance of sports saloons and roadsters; my admiration for Opel’s propeller flash won’t surprise you … the list is long and included Skoda’s cheerful and optimistic winged arrow. Add that to the Laurin & Klement script and there is a very powerful statement of their best cars’ pedigree. Ditching the green and white symbol thus is ditching the only visual link to other Skodas and the brand’s heritage. Absent that, there is nothing at all in a Skoda’s appearance that says Skoda. S.K.O.D.A spelled out in bland letters does not say Skoda like a badge can. Symbols have impact. Words … much less so. Apologies for being Mr Pedant Faced Oik but that particular badge hasn’t been on a Škoda for a good few years. It was streamlined and modernised about 2011 but most definitely still there. But turning into Mr What On Earth Are They Thinking, Škoda’s own website was only recently making everyone interested in the brand and more focused on the badge and its long and varied history. They even made a video about it! From the 1920’s, the Winged Arrow WAS Škoda and it’s various incarnations have been quite radical and it is fun to follow the changes. It’s mysterious and enigmatic, bold and to my eyes, eye catching. To remove the arrow is, as you say, self-harming and to my heart, disrespectful. 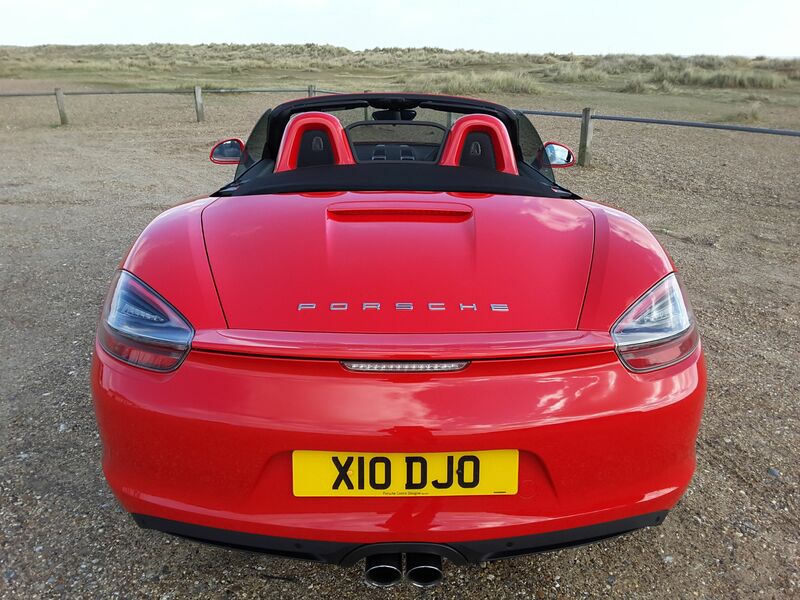 By making the word so prominent They seem to be “doing a Porsche “ and that doesn’t work for me, either. I wonder if the dealerships will be removing the badge and sticking up a huge Š.K.O.D.A. banner instead? It’s ok, but lacks the charm of the earlier green badge, which VW (re)introduced with the launch of the Octavia. Green is also a rather unusual colour for car branding and is (was?) prominent in the dealership signage, giving Skoda a distinctive identity in a sea of grey. Are you certain the badge will be deleted completely? I know they have said the thing about the name being smooshed across the hatch lid in what’s becoming the trend, but I do not recall that the badge would be withdrawn. As you say, such a change would rank as a small act of vandalism . Seems your new car is nothing these days unless there is a full width rear ‘light bar’ and the brand is spelt out in chromed letters across the tailgate. 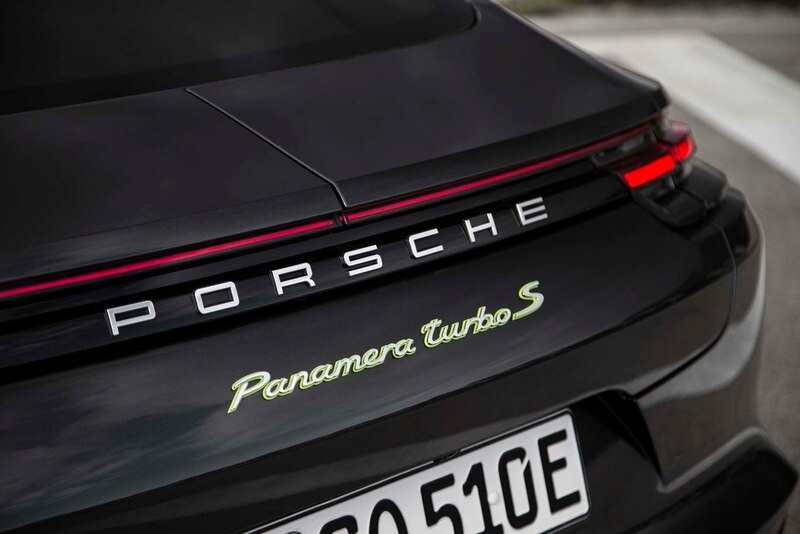 As far as I am aware, the Porsche crest has never appeared on the rear of the cars, only on the bonnet. May I suggest the hypothesis that the simplification of badges, logos and fonts mysteriously correlates with the complication of car design in general? I’m surprised they named it Scala in the first place – I thought that name was owned by Renault / Nissan. I don’t find it that radical that the car will loose the badge at the back. As mentioned in the comments Subaru already does it but also Volvo: as if Skoda was trying to fit in the “Leftfield” box of manufacturers in that regard. From the official press release it sounds to me like they mean it to say that Skoda is proud now to spell out its name in big letters (after years of cruel jokes at its expense(. There’s a possibility that the rear badge migrate to the side as seen on Skoda’s Vision E concept, although I doubt this will feature on the production Scala. I meant to say and forgot to add that I hated the Skoda logo with that horrid green. Iam not fond of whatever that shape is inside either but at least the green is gone. What is that thing inside anyway? Somehow it always reminded me of a bird made with a rubber glove. 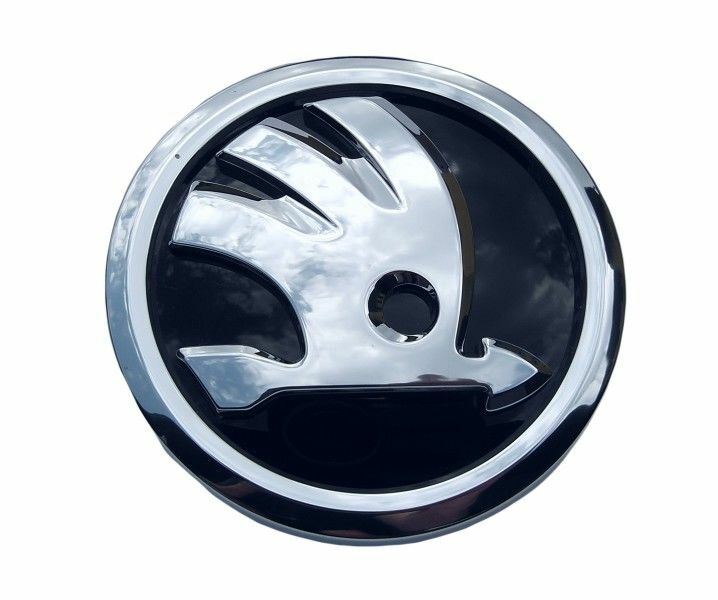 I think it’s hard to like and embrace the Skoda logo, maybe because I find it too abstract and complicated ? Here writes one who liked the green winged arrow. The thinking behind the monochrome version was that b&W went with all car colours. Yes and missed the point of the power of a brand´s colour. Within the circle, the colour was cut off from whatever colour was around it – that´s the power of circles and boundaries. I suspect a very naive view would have it that the colours should always be complimentary or in keeping. The power of the badge and its colour lay in its isolation. Ford still puts a blue oval on its cars and BMW has its roundels (for the moment). What does Skoda know that the others don´t? Yes, one could sense your adoration for that badge from the article alone. For me I don’t think it’s because the green clashed with some body colours, I simply didn’t like that shade of green. I wouldn’t wear it on clothes, I wouldn’t paint walls in that shade, etc…On the other hand I own many things in the same shade of blue found in the Blue oval or the BMW roundrel. Interesting because equally true is the fact that BMW blue exists nowhere in my house or clothes but I do have greens. I think VAG scrapped the coloured badges out of some sense of orderliness more than a feeling about that exact shade. More fool them, I say, as these colours have huge emotional meaning to customers. When you get rid of idiosyncracy you also lose difference. I’d not seen the Vision E Škoda concept until just now. I like the placing of the badge there, how they could manage it for production is well beyond me. As for placing long and space letters on the rears of cars makes for difficult cleaning. The “Octavia” section of my car seems particularly magnetic at attracting filth so I am not a fan this move. My eyes do not the streaks of muck that emanates from this vicinity. Interesting to know about your Octavia anecdote, I like these type of details. I don’t know how Skoda could manage it for production but I sure hope Renault knows what it’s doing: a few of the illustrations for the next Clio show that Renault could even use the logo as the rear door handle ! I wonder if this move from manufacturers (adding logo or brand name to the profile) is in response to what I perceive as an increasing uniformity in car design: Did they find out that customers had now trouble recognising a model’s brand when viewed in profile ? Admittedly it has been easier for most manufacturers to easily forge a recognisable identity at the front and (maybe less noticeably) at the back, but profiles have tended to look very similar lately in certain key categories I think. Hence, perhaps, the need for added symbols ?